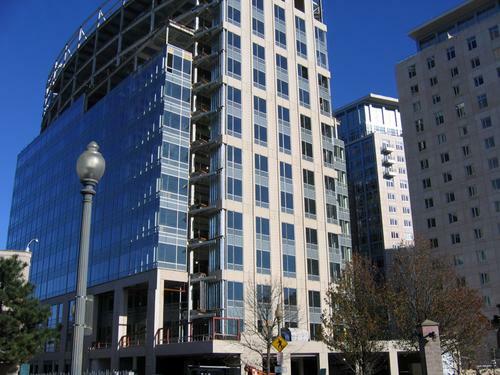 The Blue Cross & Blue Shield of Rhode Island Headquarters is a LEED Certified high-rise project currently under construction in downtown Providence, Rhode Island. 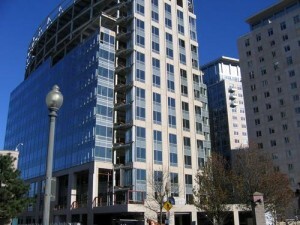 The building is wedged in between the two Waterplace towers, at the intersection of American Express Plaza and Exchange Street. The public health insurer announced April 19, 2007, its intention to consolidate its operations comprising 1100 employees, which had been scattered throughout the city, into one 325,000 sq ft (30,200 m) 12-story building. The $114 million tower will be built on top of a parking garage currently under construction for Intercontinental's neighboring Waterplace condominiums, and is estimated to be finished by early 2010. The economic feasibility of this move is made possible through $25 million worth of tax breaks negotiated with Intercontinental.